More than three years ago, I started on this wild adventure called blogging and my life hasn't been the same since! discovered the book blogging community via Twitter in January of 2014, and by May of 2014 I was ready to give it a try. 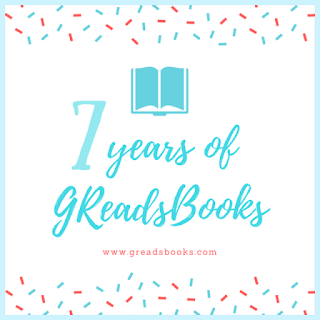 With a little encouragement and support from some amazing friends I had met just a few months earlier on Twitter (thank you Ginger and Andi), I decided to start my very own book blog on May 15th, 2014. I was totally nervous and intimidated at first but they were super encouraging of my desire to start a blog and showed me a LOT of love. Little did I know what an amazing journey these past three plus years would be, how many cherished friendships I would make, and how life-changing this whole experience I was embarking upon would be. I won’t lie though, the journey has been overwhelming and discouraging at times. I’ve worried over how many posts I should be publishing each week and if I’ll be able to read a book fast enough to post a review in time for its publication date. For the first year or so my stress levels over how many visitors I had to my blog each day or how many official blog followers I had got little out of hand. I got really insecure a lot and wondered if my posts were even interesting to other readers and how I’d never be as “cool” as the other bloggers I’d met. Then in the Summer of 2015 my life got super busy and I was forced to take a more casual approach to my blog. I slowed down, stopped stressing out as much and just started blogging for ME...and I haven't looked back since. More than anything, what I LOVE about blogging is the joy I get out of reading and sharing the excitement with other readers. I’ve fallen in love with books that I never would have heard of otherwise and fangirling with the rest of you over amazing books is basically the best thing EVER! There is nothing I love more than finding a good book and then convincing a friend or family member to pick it up and start reading it too. 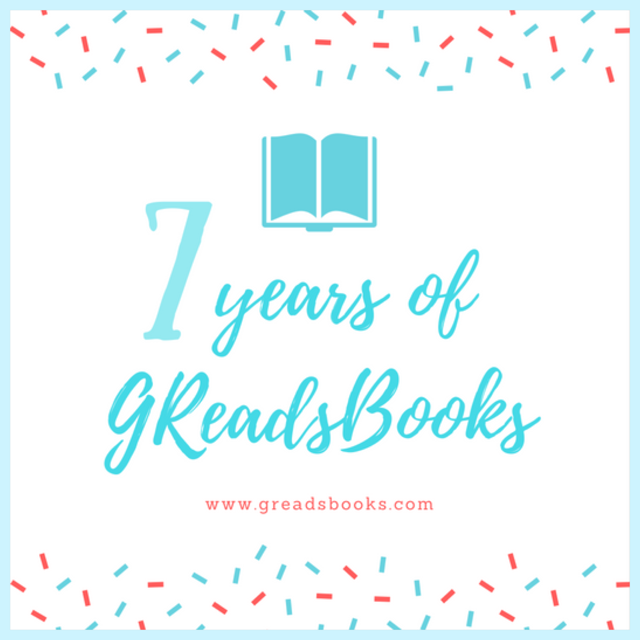 When I was putting together this post to celebrate Ginger's AMAZING seven years as a blogger (seriously how epic is that? ), I thought it would be fun to share the ten books or series I would recommend to someone who is new to the Young Adult books community. Before I share that list, I just wanted to wish my dear friend Ginger a very happy seventh anniversary! She's been such an amazing source of friendship and inspiration and I cannot wait to see all the wonderful ways she shares her voice and spirit in the years to come. Thanks for being you, G! We love you! OK...on to THE LIST! This is by NO means THE definitive top ten list, it's just my picks for books I've read over the past three plus years that have stuck with me. There's swoony love stories and epic adventures, and my hope is that you find one (or two or three) that are new to you and you find a new book or author to fall in love with! That's the whole point of this book blogging thing anyway, isn't it? I also want to share two of the most recent additions to my faves list! The Gentleman's Guide to Vice and Virtue and Warcross are both 2017 releases that will are now permanent fixtures of my best of lists! Seriously, these books are some of the best of the best!